Jones, president of the Florida Disabled Outdoors Association (FDOA; www.fdoa.org), is a 63-year old hemiplegic who cannot use his left arm. He loves to be on the water and, up until this summer, had greatly missed being able to fully participate in paddling situations. With the help of fellow FDOA member and friend, Thomas Weldon, however, Jones is thrilled to be back in the game. In addition to the awkwardness of most adaptive paddle devices Jones tried out, he found that simply getting in and out of a sit-in style kayak presented plenty of problems, especially during the course of activities. 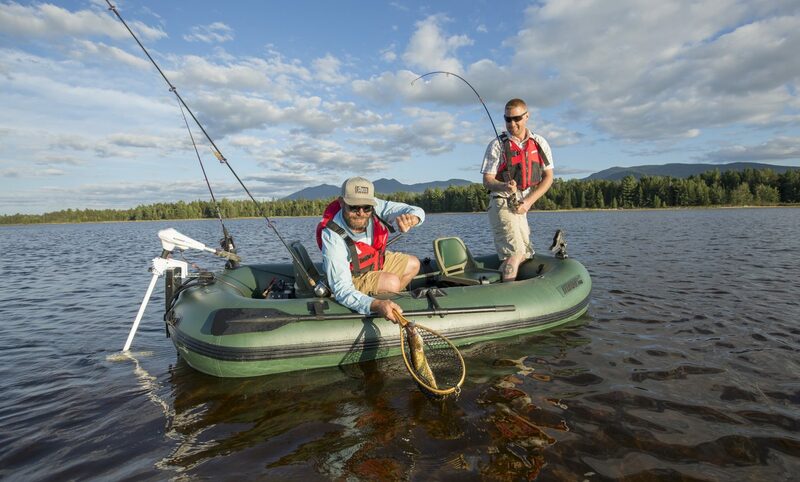 Still, after outfitting yet another sit-in kayak with new adaptive gear, Weldon convinced his buddy to try again. That’s when he came up with a radical idea. While following Jones on a Sea Eagle NeedleNose™ 14 (NN14) inflatable stand-up paddleboard (SUP), Weldon thought of switching the setups to put the adaptive gear on the inflatable SUP. That, he suspected, would be easier for Jones to maneuver, balance, and mount or dismount. To make the SUP extra-stable, Weldon added small outriggers which also responded to foot pressure for improved steering. Attaching everything to the paddle board proved easy since the NN14 had plenty of D-Rings conveniently positioned around its perimeter for securing accessories. Of course, helping the physically challenged enjoy the great outdoors is what the Florida Disabled Outdoors Association is all about. According to Jones, the program has a mailing database of roughly 16,000 members and offers a series of outdoor adventure trips throughout the year. The program includes paddling sports, water sports and a variety of other outdoor activities. Twice a year the group hosts a major SportsAbility event, drawing between 1,000 and 1,500 participants to each gathering. Their year-round Miracle Sports Program has about 200 active participants, an ALLOUT adventure series offers a variety of outdoors opportunities including hunting, and a program designed to provide resource information for those with brain and spinal cord injuries serves several thousand more. In addition to paddling, Jones loves to fish. That has led him and Weldon to consider exploring the possibilities of building an adaptive paddle device for Sea Eagle’s inflatable FishSUP™ 126. That paddleboard is wider and even more stable than the NN14, and it is easily tricked-out to be an angling machine.